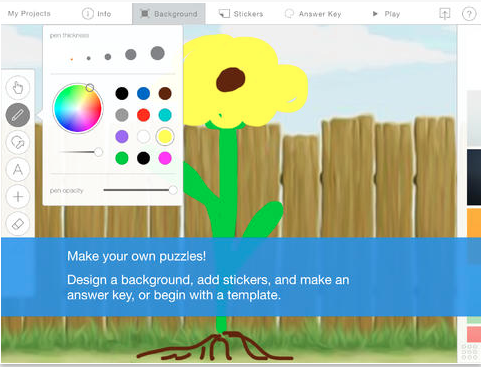 Stick Around is a fantastic iPad app by educator Tony Vincent that is for creating puzzles and then having students label them. For example, an educator can create a diagram/puzzle of a cell using Stick Around, and then have students label the different parts. It can be used for any subject and can be used to flip instruction w/ the ability to record narration. Also, educators can share their different puzzles/templates and find new ones online all the time. I highly recommend checking out Stick Around by clicking here!! !